Going snowboarding and trying to get prepared but don't know what to wear? 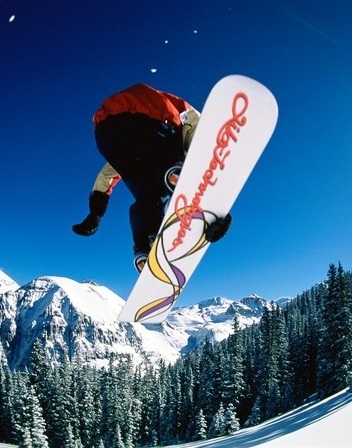 This article provides you with a list of the Basic Snowboard Gear that you will need. Wearing the right apparel will help enable you to perform better as well as helping to fend off the cold and wet keeping you on the slopes for longer. The key to getting it right is all about the layers. Dressing in layers allows you to adapt to sudden changes in temperature by shedding a layer, and prepares you for the times you will find yourself overheating from pushing your endurance to limits. "What's really good is I'm riding really badly today. It's actually great because when I have a bad day it means I'm going to have a good day tomorrow." 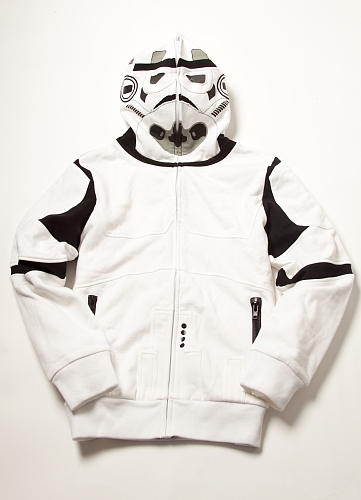 The Star Wars Trooper hoodie by Marc Ecko. This awesome zip-front hoodie features the star wars "Storm Trooper" hood which looks like a mask and the rest of the hoodie looks like the storm trooper body armour. 100% cotton. Rib knit sleeve cuffs, hem and zip welt pockets. Machine wash.